I have a favourite beer t-shirt (no wait, come back), one I bought from Etsy (no seriously, don’t go). It has a vaguely familiar Californian brewery branding aesthetic and the name of the fictional brewery is ‘OBSCURE – Microbrewery You’ve Never Heard Of’. Anyway, I’m not just bragging about my great t-shirt – looking at it the other day made me realise that there is a new level to the joke. Mikkeller, every part the poster-brewery for experimental and uncompromising brewing oddities, pure beer genius and everything inbetween in modern craft beer, is an obscure brewery that everyone has heard of. Production, even when including the many projects all over the world, is relatively low in total, yet the reach is wide, the legacy large and the shadow long. 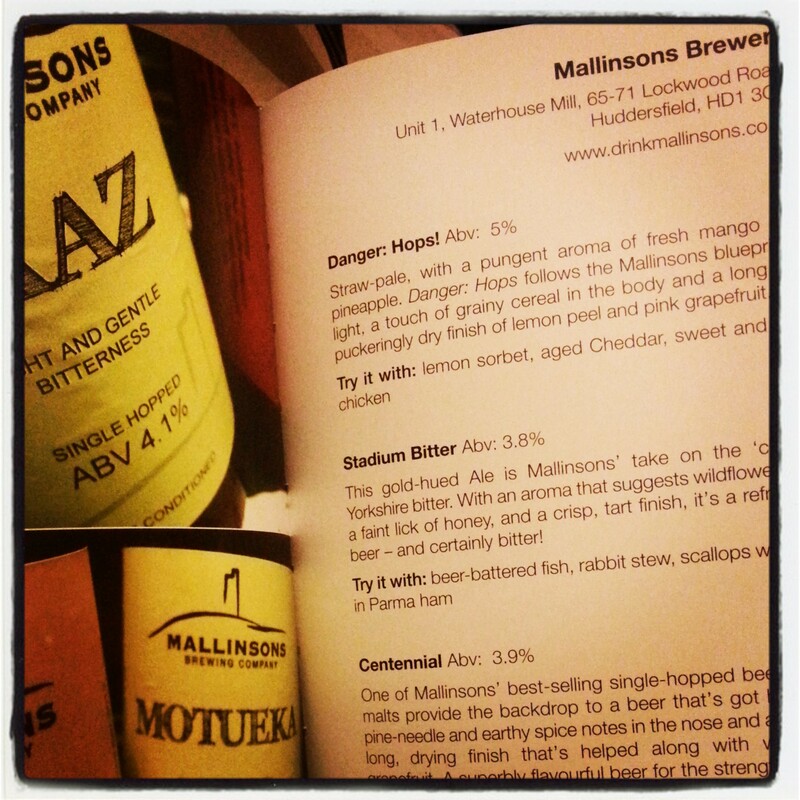 This is the modern brewery, so what, then, is the modern brewery book? Just as every beer and brewery has a story to tell, so too do the brewers. That compulsion to write their own history, and that of beer too, has motivated a number of American brewers to pen their own bestselling beer books, and we’re now seeing the trend continue here in Europe. Highly anticipated in the craft beer community, Mikkeller’s Book of Beer is co-written by brewery co-founder Mikkel Borg Bjergso and professional journalist Pernille Pang, who is also Bjergso’s wife. The first chapters of the book feel personal, and the desire to tell his own story in the book’s clipped translated English (familiar to readers of English versions of Scandinavian fiction) makes for a quick and absorbing read. As with anything of this nature, the reader is wary of the authors editing history to suit their narrative, and there is a perhaps controversial recurring habit of measuring Mikkeller’s success by Ratebeer scores alone. Still, it gives a fascinating insight into the mind of a determined and resourceful man across the book’s clean and crisply-laid-out pages. Of course, much of his story is well-known, and the book proper begins with a potted version of beer history that concentrates on the fun stuff (and, notably, CAMRA), and a breezy trip through major beer styles. The first major problems arise here: for the experienced beer buff, the reliance on heavily debunked myths of style origins may come as shocking, and the IPA section alone might be enough for some people to give up on the book entirely. Meanwhile, the newcomer may find the short, breathless descriptions to lack depth or imagery to capture the imagination, but then, that’s what all the beautiful photography is for. There are also some clumsy paragraphs and phrases that feel like they’ve been wrung through Google Translate, but generally the book maintains an easy-reading pace throughout. The book’s real appeal to existing beer nerds lies in the selection of 25 recipes for Mikkeller beers and 5 recipes for other brewers’ beers. Whilst laying bare the recipes for I Beat yoU, Beer Geek Bacon and Texas Ranger shows an impressive amount of transparency on Bjergso’s part, I suspect most will be even more impressed by the inclusion of recipes for Firestone Walker Wookey Jack, To Ol Goliat and Kernel Imperial Brown Stout. The guide to starting homebrewing itself is packed with handy tips, but also comes a cropper from the occasional confusing sentence or questionable translation, which, when on the topic of oxygen in the brewing process for example, is pretty worrying. The whole thing feels useful in conjunction with other more trusted books on the subject (How to Brew by John Palmer, for example) but not a true foolproof brewing bible on its own. Where the language and tone of the first half of the book is aimed at the beginner, the food section fells far more advanced in some ways. However, it does overcomplicate some of beer and food matching’s basic principles, recommending only sweet beers for cheese for example, yet a variety of beers for different kinds of shellfish, which is perhaps more of an indication of its Scandinavian origin than knowledge gaps. The food recipes included, meanwhile, are almost exclusively high-end, Masterchef-esque constructions of the most expensive ingredients using the most obscure methods. It’s hard to see anyone who is actually capable of these culinary feats relying on such a text as their guide, but it certainly all looks very nice, and that might be both the book’s biggest strength and its main weakness. The gorgeous design and pleasingly simple artwork from Mikkeller label designer Keith Shore makes for an easy read, but not necessarily an engaging one. Whilst it is pretty to look at, and will provide a valuable source for homebrewers (as just that, a source, not a bible), this is by no means the ‘Ultimate Guide for Beer Lovers’. With its artistically impressive layout, repeated reliance on debunked myths but tempting recipes and insight into the rock-star brewer’s rise to fame, this is perhaps then the beer book that the craft beer generation deserves, but not the one it needs. Mikkeller’s book is a beautiful one, but requires the context of more grounded works. Mosher, Palmer et al have little to fear. 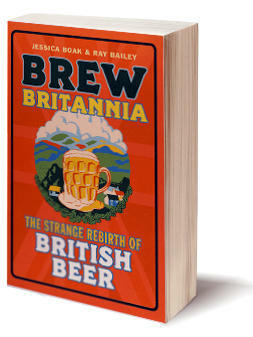 Great books on beer often make you say ‘why hasn’t somebody done this already?’ In the case of Brew Britannia, the long-awaited debut in print by esteemed beer bloggers Boak and Bailey, the reason no one has done it already is quite simple: some of the history covered inside has only just happened. The result is a truly fantastic beer history book for our time. It can be tricky to write about recent events with the authority of a historian, but in Brew Britannia it’s far more than just a framing device that brings us to the present. Whilst much of the book describes the long and multi-faceted war of good beer versus bad beer from the 1960s to the 1980s, it’s the pages about the last twenty years or so that really illuminate just how far we’ve come. The authors are extremely shrewd in their depiction of key characters, and allow the reader to make most of the comparisons between breweries, people and companies from the past with those operating now. Still, it is always clear when the comparison should be made, and it is a credit to them as writers for getting the balance right in this respect. The battles in print between CAMRA and the Big Six, and BrewDog and the Portman Group for example, are particularly worthy of note. Like all good social historians – and I’m thinking particularly of Pete Brown in the arena of beer history – Boak and Bailey have a gift for finding and describing the ‘characters’ of their story, and it certainly is a great story. 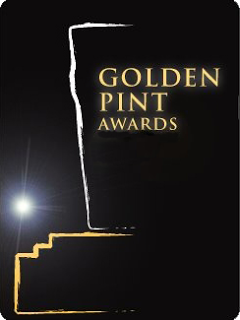 From the boisterous and boozy founders of the Society for the Preservation of Beers from the Wood to the brilliant and eclectic Brendan Dobbin, from the plucky and unstoppable David Bruce to the gifted and statesmanly Peter Austin, there are dozens of fascinating profiles of people who have helped shape the beer industry we have today. One of the themes that recurs in the book is a talented person working in a field completely unrelated to beer and then one day triumphantly deciding they should open a pub/start a brewery/wage a decade-long war with the Portman Group. It’s something I’ve noticed in in other articles, interviews and books about beer: people seem to become possessed by it and dedicate their lives to it. It reminds me of that trope of science-fiction where aliens intervene in the path of human history to guide us along a certain path – but in a good way. I think it really is representative of the single-mindedness, the [*klaxon*] passion that drives these people, and Boak and Bailey totally succeed in capturing this in print. Many of the stories are truly inspiring, and to those who are involved in the beer industry, serve as a welcome reminder of Why We Do This. The book’s portrayal of organisations as different (or perhaps not, it winks and nudges) as CAMRA and BrewDog is fair, almost to a fault. You occasionally find yourself urging the authors to stick the boot in, but then you see another side to the story that makes you doubt your first impression of person X or company Y. Whilst the pursuit to present a ‘true’ story demands this level of objectivity, there is definitely a message in Brew Britannia. That message becomes clearer as the story progresses. The ending line of the epilogue (which I won’t spoil) is wonderful, crystallising the most important things and lets you reach your own conclusion about what really matters. There are definitely a few pieces missing from the story, though. In a story about consumer appreciation of beer driving a revival, the rise and fall and rise of bottle-conditioned beer, for example, feels noticeably absent. One microbrewery is indicated to have a dramatic, ominous end but we never find out what happened. These are minor quibbles, though, as there has not been a more complete and fascinating history of modern beer. It’s not just a great book, it’s an important one for the time we live in. My advice is: don’t wait a few years before reading it. 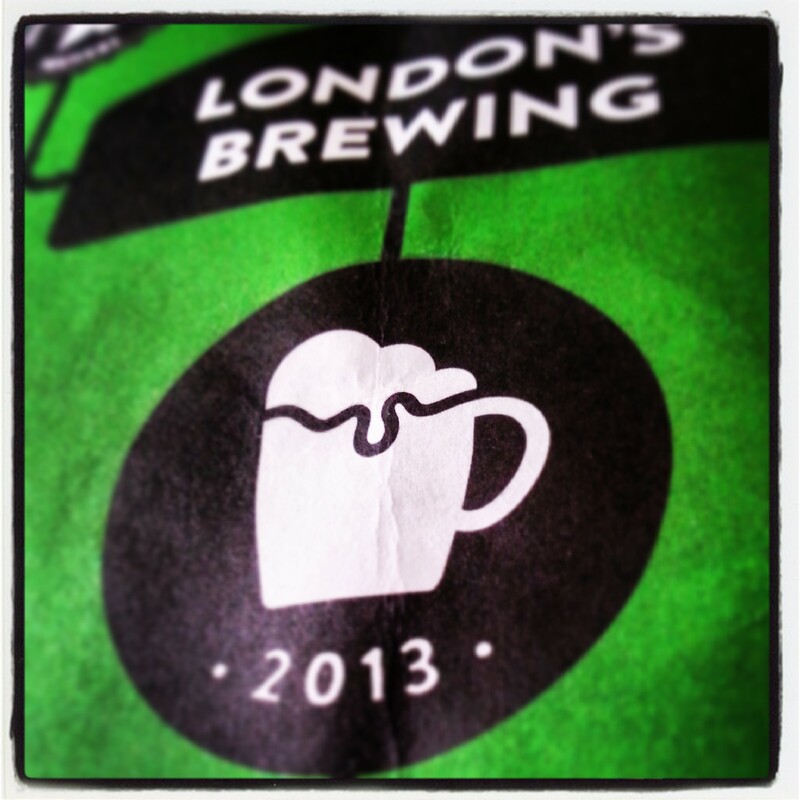 The lessons that can be learned from Brew Britannia are best appreciated right now. I just hope we have equally talented writers to write a book just as good in another 50 years time. Brew Britannia is available right now in book shops and online. Details of where to find it are summarised on Boak and Bailey’s website here. As a city, Brussels has many districts, though many of the bars are thankfully within comfortable walking distance of each other. 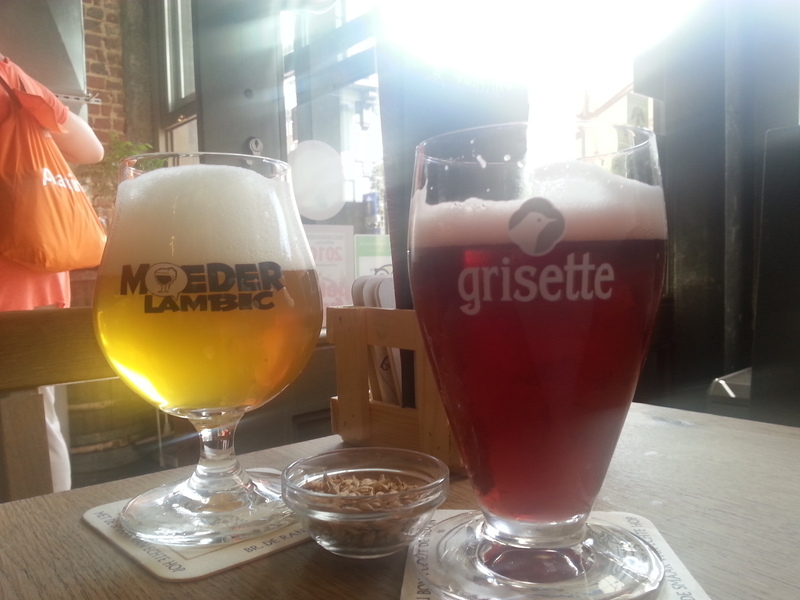 With more bustle than Bruges, it’s nice to break up your drinking excursions with visits to restaurants and museums, though it’s just as easy to find a bar with a particularly good selection and bunker down for an afternoon. It can be tempting to settle at one location and work your way through the ten or so beers that have caught your eye. Feel free to do so, the other pubs aren’t going anywhere, the staff are friendly, and they have food, so why not just relax? No visit to Brussels, or indeed Belgium, would be complete without a visit to this most iconic and decidedly Belgian of cafes. 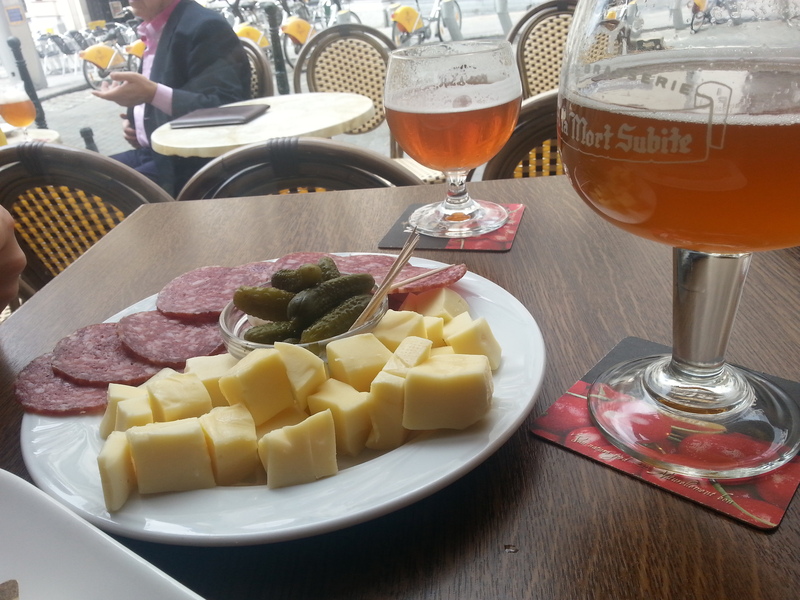 The bar’s own lambic blends are a must-try: Gueuze, Kriek, Faro, Peche and White Lambic are all available on draught, and best enjoyed with a plate of meat and cheese. 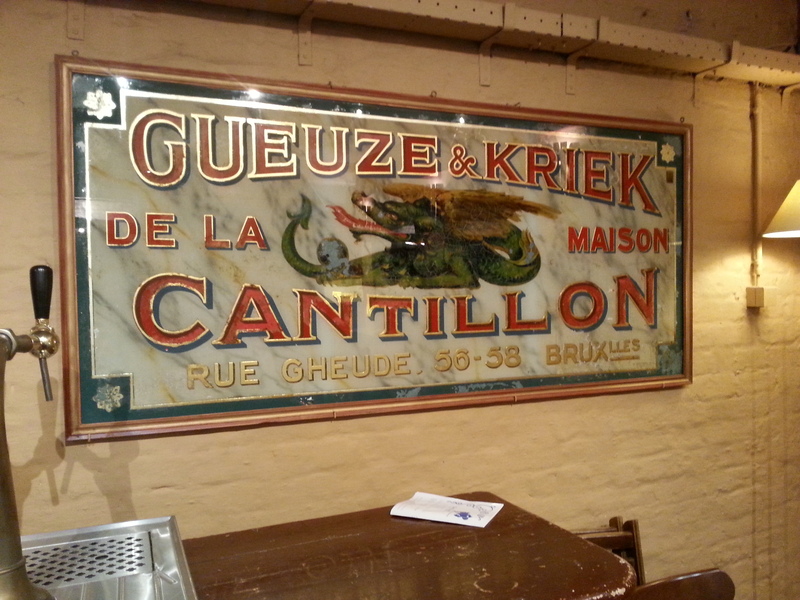 Whilst not strictly a bar in the traditional sense, the fact that some of Belgium’s finest beers can be tasted here makes a visit to Cantillon an essential visit. 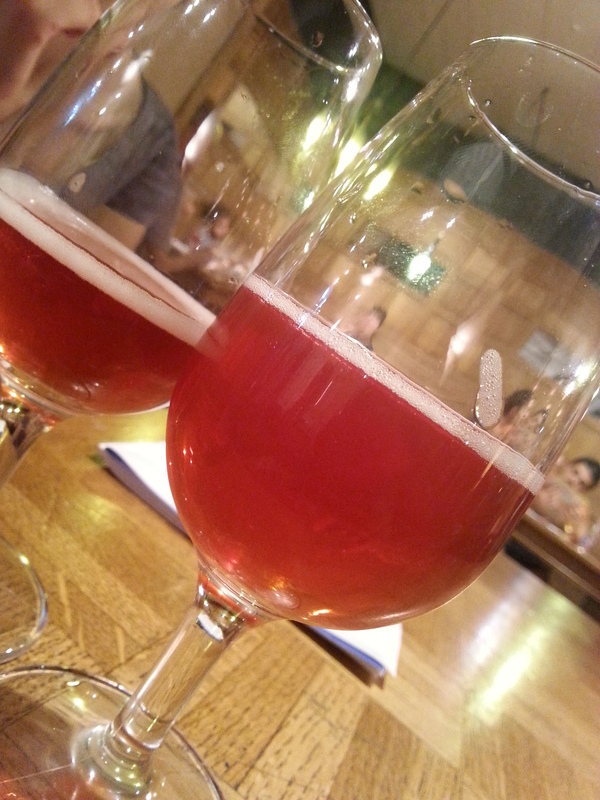 After taking a tour of the brewery, relax with some fresh Rose de Gambrinus, different aged lambics, or a bottle of something to take home. The slightly mocking tone of the monastic décor here gives foreigners a taste of what might constitute Belgian humour. 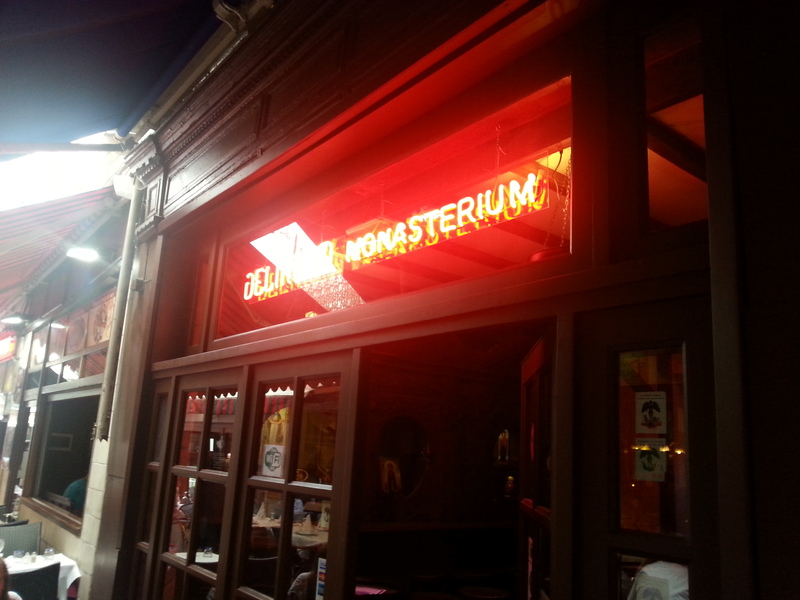 Delirium may not be a Trappist brewer, but many if not all Trappist breweries have their beers represented at their bar here, along with classics from across the country. Near the famous Mannekin Pis statue, Poechenellkelder (or the ‘Poeche’) is a friendly, well-stocked beer bar with a small outdoor space and lively atmosphere. The eccentric décor of puppets, rare beer glasses and, well, stuff, is all quite charming. Helpful staff are on hand to guide you through the extensive menu. The original Moeder Lambic bar is in nearby Saint-Gilles, but this newer, city centre bar is the ideal end to a trip around Brussels. The range here is varied, and worthy of note for the occasional kegs of Gueuze Tilquin and offerings from Jandrain Jandrenouille and Brasserie de la Senne. 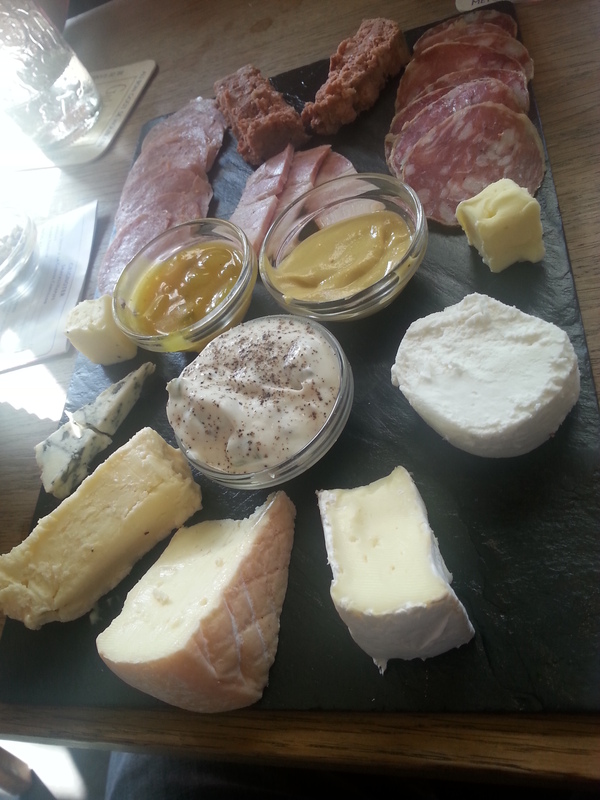 Meat and cheese boards are de riguer food-wise. You can read more guides to drinking in top beer cities in ‘Craft Beer: 100 Best Breweries in The World’, now available in newsagents and online. After Craig Heap and I contributed a few feature pieces for the Homebrew Handbook earlier this year, we were asked by Future Publishing if we were interested in writing a magazine covering the best beers in the world. Of course, we jumped at the chance, and spent an intense month drinking and writing about 365 of the very best beers we could find. We split the writing of the reviews, features and other bits and pieces right down the middle. It’s a real joint effort, one we are both proud of. The question many will ask – and it’s the same question that Craig and I asked ourselves – is: ‘Does there need to be another Best Beers in the World book? Surely all the ground has been covered, hasn’t it?’ No. Of course it hasn’t. This beer we’re talking about here. We must of course concede that a lot of similar things have written. So what’s different about this so-called ‘bookazine’ of ours? For one, it’s fairly easy to get hold of. Once I knew it was out, my girlfriend quickly found a copy in the W H Smiths in Kings Cross. I like to imagine people not too different from myself looking for a magazine to read on a long train journey and finding something nice and beery for a change. Here’s to you, train riding beer lovers. Secondly, it’s set out a little bit differently than many other beer magazines or books. We decided to set it out by season. The beers seemed to fit into four large, sensible, evenly-sized categories, and it helped us to match the beers to seasonal foods, another key consideration. IPAs and pale ales are in spring; lagers, wheats and sours in summer; reds, milds, brown ales, dubbels and tripels in autumn; and porters, stouts and other dark stuff in winter. The seasonal approach makes for an interesting and natural progression, we hope. It also made food pairings more straightforward, and they appear throughout. We see the magazine as a broad, accessible introduction to the world of craft beer, as well as helping those with an existing interest explore the world of beer further, and understand the beers they like even better. We were encouraged to highlight beers that provide a great introduction to that particular style, but we were never asked to use words like ‘MUST TRY BEFORE YOU DIE’, which is language I find unpalatably unpleasant to use when referring to beer. Why is there this obsession with death and lists of beer? Surely playing right into the hands of health lobbyists, you would think. Perhaps the most important difference is the beers themselves. We set out to list not just the best beers in the world, but ones that you can actually buy. Reading about beers made in Korea or deepest Chile is fun, and fascinating, but the beer itself may as well be mithril or unobtainium. 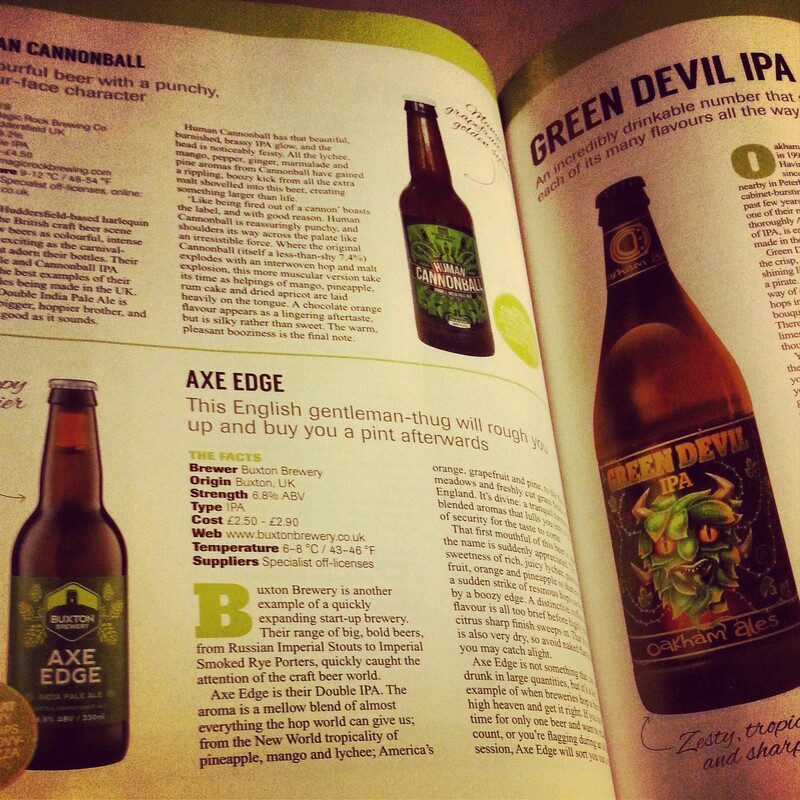 All the beers in our magazine (with perhaps a handful of exceptions) should be available to buy right now. They made it into the magazine on those two criteria: quality and availability. Sure, there are some fairly whacky and oddball choices, but for every Shnoodlepip and Guava Grove there’s a Chiswick Bitter or a Pilsner Urquell. 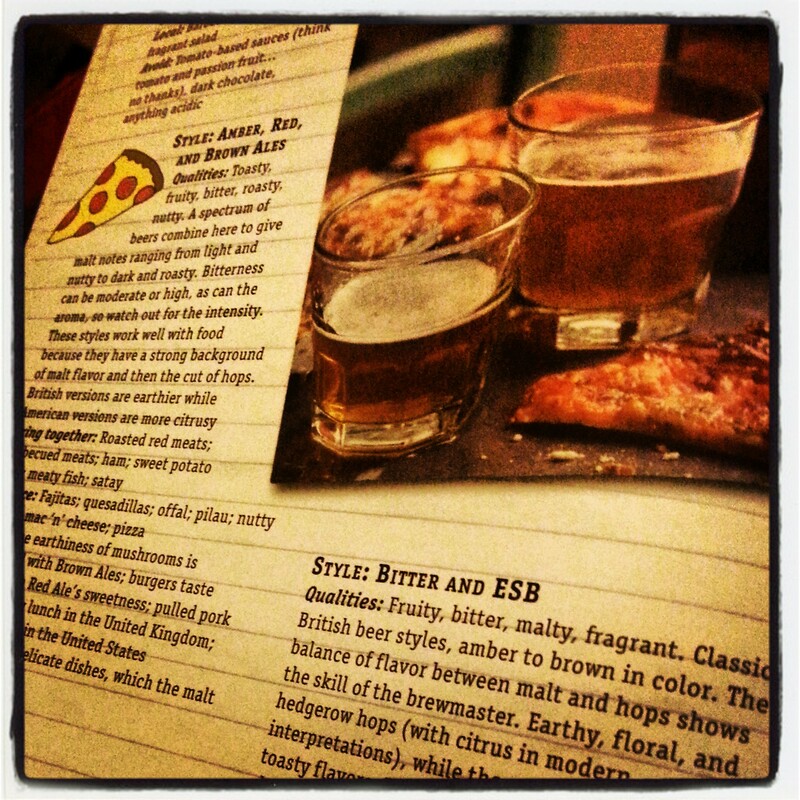 As we state in the introduction, we see the magazine as a lovingly-crafted mix-tape of the craft beer scene right now. It’s for that reason alone that I would defend writing ‘another’ best beers in the world magazine to my dying breath. I’d like to think that the magazine has value not just as consumer-oriented, user-friendly guide, but also as a snapshot of the beers that we all enjoy at this moment in time. Whether you choose to call it the craft beer revolution or not is relative, really. There’s no doubting though this it is certainly an important time for beer, and I think our magazine captures that. This is especially true if it means you can walk into a W H Smiths in a train station and pick up a decent magazine about craft beer. I’m proud to have contributed to this situation, and extremely grateful to Future for giving a couple of beer bloggers a chance to get words in print. Hopefully, if this magazine sells well, there will be more to come in the future, and more chances for more bloggers to get involved. Cheers to that. 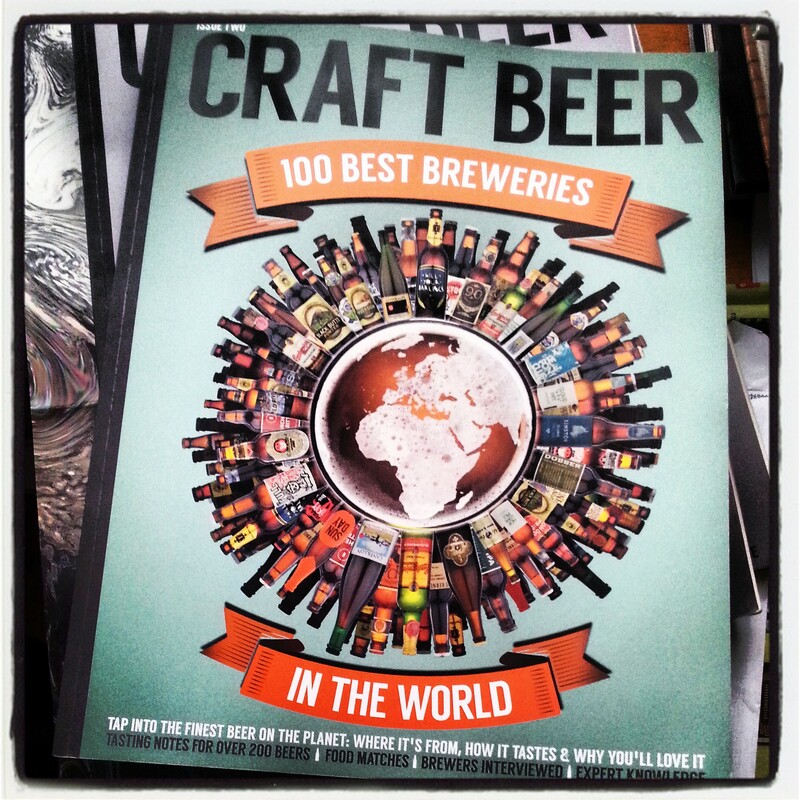 Craft Beer: 365 Best Beers in The World is available in W H Smiths, large supermarkets and shops with a large selection of magazines, and online, priced £9.99. An iOS/Android version for tablets and phones is coming soon. That notorious Cwrwaft Wanker Craig Heap and I have written some features that have gone into this new one-shot magazine about homebrewing: The Complete Homebrew Handbook. It costs £9.99, and for that you get a guide to starting homebrewing using kits, malt extract or full-mash, as well as information for intermediate and seasoned homebrewers. For example, there’s a piece about finding the right branding, and advice on how to go commercial. The main reason it’s worth that price is the fantastic list of official recipes inside, for ace beers like Magic Rock Clown Juice, Odell Cutthroat Porter, Rooster Fort Smith, BBF Southville Hop, Tiny Rebel Hot Box and Moor Illusion. Seriously, there are some amazing recipes in there. I didn’t write any of that really interesting stuff, though. I just wrote some features near the front about ingredients and what they determine in the finished beer. My bits are about malt and yeast, and also I did an interview with Chris at Warminster Maltings. Any unseen typos notwithstanding, I’m pretty chuffed. The finished magazine is a very nice thing. More like a book really. The publisher insists on calling it a ‘bookazine’, but for those averse to newspeak, Big Magazine will do. You can buy it in WHSmiths, large supermarkets (Sainsbury’s definitely have it) and places that have lots of magazines. You can also order it online (and preview the contents) here. Anyway, that’s one reason I haven’t blogged in a while. The other reason is this New Thing, which I will be promoting the absolute blummin’ heck out of in a few weeks time. As one of the blogosphere’s foremost beer and food champions, Leigh Linley’s debut book has been long overdue. Though he could have easily written one book about beer and another about food, we can be grateful that both passions share space happily in Great Yorkshire Beer. Having said that, after ‘Beer’, the second biggest word on the cover is ‘Yorkshire’, and it’s the county itself that’s the real star of this personal, heartfelt and stomach-rumble-inducing book about fantastic beer and food. Leigh set out to write a book that didn’t currently exist – a guide to great beer in Yorkshire – and in the end has written something even better. From friendly and fascinating interviews with some of the most exciting and respected brewers in Yorkshire, to tantalising and temptingly accessible recipes for delicious-looking food, to lip-lickingly evocative tasting notes for fantastic beers, this is a treasure trove of information that you will want to return to again and again. Thirteen Yorkshire breweries are featured, from the famous Saltaire, Summer Wine, Kirkstall, Ilkley and Rooster’s, to lesser-known ones like Wharfebank and The Brew Co . Whilst there may seem to be a slight bias towards newer brewers, that is simply reflective of the modern Yorkshire beer scene. It’s an exciting brewing landscape that Leigh describes with pride. He’s itching to tell us about this great couple that started brewing a few years ago, dying to show us the wonderful interiors of pubs and brewery buildings, and gasping to describe the amazing beers he’s tried from every brewer in the book. The interviews are insightful and interesting, giving us glimpses into each brewer’s starting point, their dreams for the future and what makes them so passionate about what they do. The interviews also serve to demonstrate the enormous variety of people and businesses that the Yorkshire brewing industry is made up of. After an interview with the brewers and tasting notes of a selection of their best beers, Leigh will recommend a small, easy-to-make dish to try alongside them. 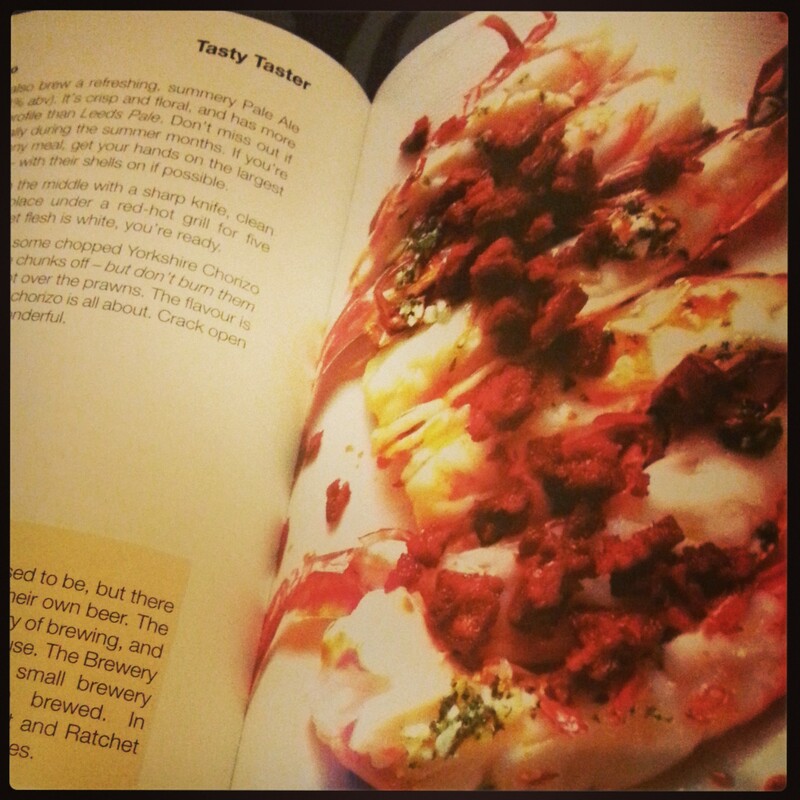 These ‘Tasty tasters’ are one of the book’s highlights, and demonstrate Leigh’s ability to take great, simple food ideas and put them alongside beers that are exciting and interesting. Like any book with good food in it, there are plenty of vibrant photos, each making you want to pop into the shop on the way home to get some ingredients (and some beers). The real strength of Great Yorkshire Beer is that pride and enthusiasm that takes you from one page to the next, and the sense that this is one man’s heartfelt attempt to nail down everything that excites him about where he lives and what he loves. Great Yorkshire Beer is not a list of every beer or pub in Yorkshire. Such a thing would have only have value as a reference material. This is a book that shines a spotlight on what is truly great in a county full of beer of pubs, and gives you something cracking to eat with every pint, too. After the main body of the book, Leigh has included a further eight recipes for meals that are perfect matches for different beers. Again, the meals look absolutely delicious and the recipes are straightforward, requiring a very short shopping list (most need fewer than ten ingredients). As I said at the beginning, there’s a real sense that Leigh could – and should – do an entirely food-focused book , perhaps a sort of Yorkshire Brewmaster’s Table (just a suggestion, Leigh). It’s really refreshing to read a book where the beer and the food share an almost equal billing, instead of the half-hearted food matches being relegated to a dusty corner. It’s a handy size for a beer book, too. Not a cumbersome ale bible for tickers, this is a travelling companion for some great weekends exploring the best of what Yorkshire has to offer. 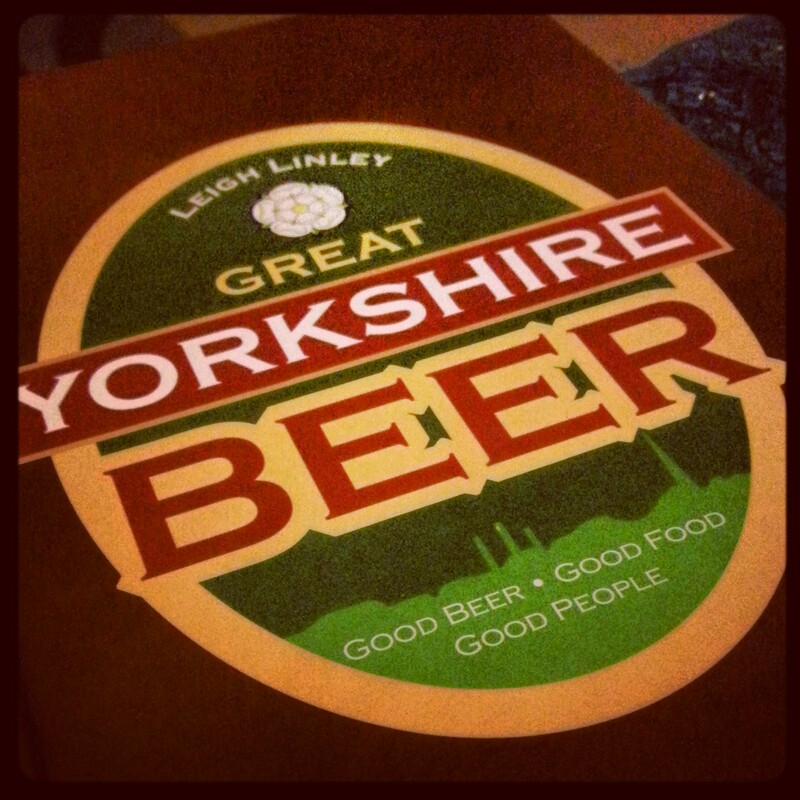 Great Yorkshire Beer is a genuinely different kind of beer book. It’s for people that love to read about culture, history, plucky Yorkshire ambition, and excellent food and beer, and marks the beginning of what will hopefully be a long list of books by one of the UK’s best beer writers. 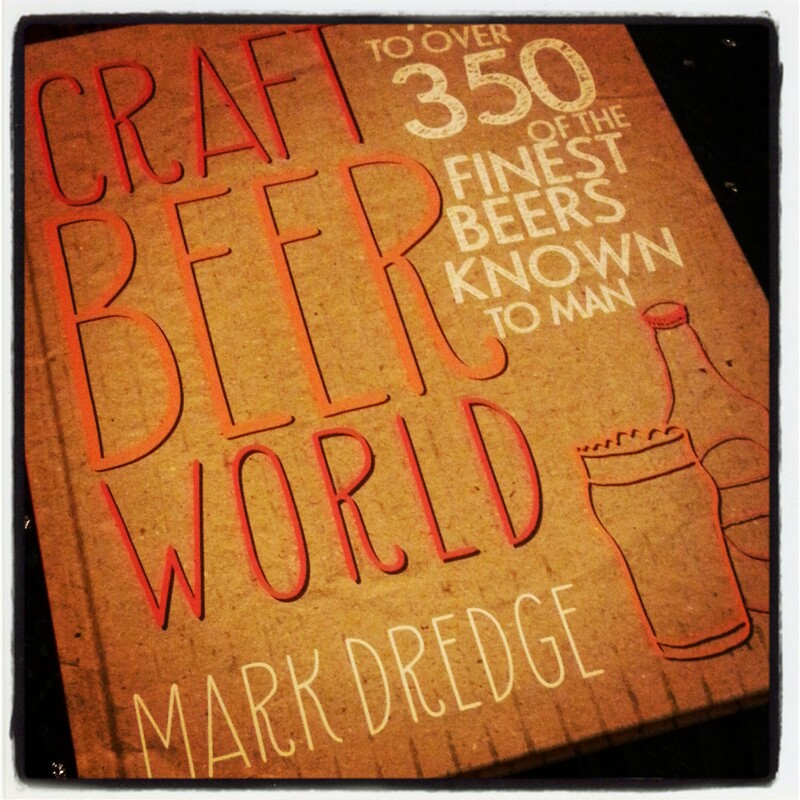 Craft Beer World is the long-awaited debut beer book from Mark Dredge, author of the blog Pencil and Spoon and award-winning beer writer. 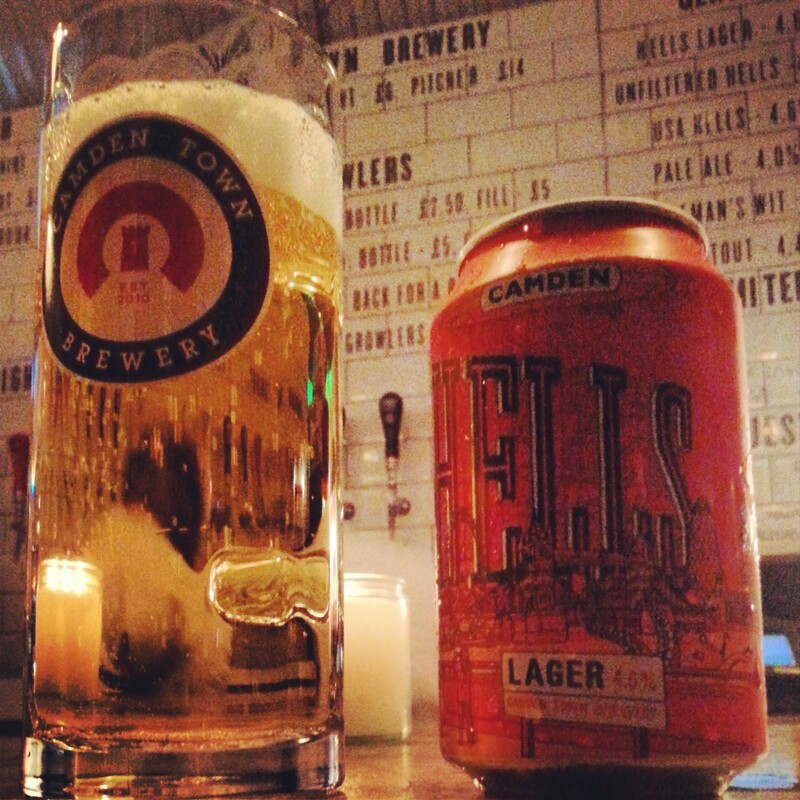 I caught up with Mark at Camden Town Brewery to discuss his book. So how do you feel now that Craft Beer World has been published? Excited. I signed the deal to write the book in April 2012, and it’s come out just over twelve months later, so there was a tremendous amount of work. The most exciting thing is opening it now and actually finding beers that I’d forgotten I’d written about. Reading it and being excited by what I’ve written, thinking ‘actually, that’s quite cool.’ I’m really happy with it. What did you want to achieve when you set out to write the book, and do you feel you’ve achieved it? I’m a massive beer geek, so I wanted to be excited by every beer in the book, or be interested in every beer in the book. That was the reason for any of them to be in there. What’s their history? Is there a really interesting story that’s related to the beer? Or is it just a really exciting beer that if I saw it in a bar, I’d think ‘I need to drink this beer’. That was what I wanted to achieve, and yeah, I think I have. There’s no beers in there that I think don’t deserve to be. Given that there’s quite of a lot of beer books that are ‘X Number of Beers You Should Try…’ – what sets Craft Beer World apart? There’s so many books that focus on the classics, and they’re great, but I wanted to write a book about the new beers, the beers that have been inspired by the classics and where they’ve been taken to. Something like a Trippel, for example, is such a classic, old style. It’s been brewed for 80 years or so in its current incarnation. Brewers can do so many things with that idea, whether it’s an American hopped version, or barrel-aged version, or if it’s got wild yeast in there. There’s this huge potential that you can take a particular type or style of beer as a starting point and then evolve it. I wanted to showcase what you can get from a single beer style, which is why the book is separated into beer styles to show the breadth you can get within a category. You have taken a very pragmatic approach to styles. Instead of relying on just the traditional ones, you set out the more esoteric styles like Belgian IPAs and give them just as much attention. Definitely. There’s other styles in there which veer away from the classics and show other ones that have been inspired by them or are similar to them. Like the wheat beer category, for example, is really a wheat beer family, and it has a huge range of beers within it. Or something like dark lager, that again has a huge range of types that you can find. In the book you will occasionally describe different places and situations that you attach to your experience of drinking the beer you’re writing about. How important do you think that is to get people interested and excited about beer? For me, the moment matters more than anything else. I could have had a fridge with all 350 of those beers and sat and drank them at home. 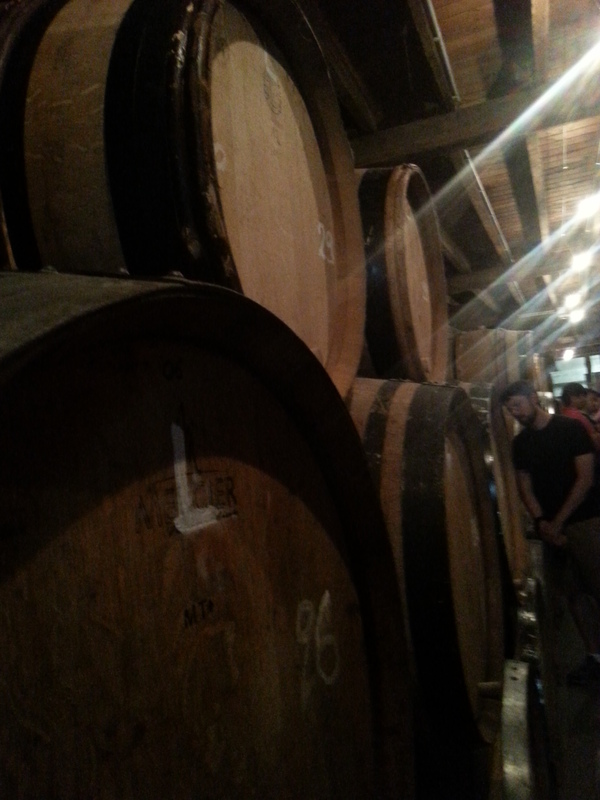 Fine, it would have had the experience of tasting the beers, but the context is everything. That context really matters. Whether you’re drinking it in the brewery, or on a beach, or wherever you may be, the actual experience is what really matters. I really want to get that experience in there. In my mind, there’s no other illustrated book like this that has done the first-person approach, and for me that was really important. After doing so much travelling, and tasting beers from so many different countries, will your next book project be a straight-out travel book? I’d like it to be. I’d really like to do a kind of a Pete Brown style, non-fiction, travel, history, future, encompassing all of that. But that one hasn’t quite kicked off yet. I just want to build up more knowledge, more experience and things like that. If you could go back in time to before you started the project, what advice would you give yourself? Don’t agree to contact all the brewers to get all the images yourself! It’s a hellish job, it really is awful. I was so focused on writing, and I’d covered about ten styles at the time and had about 70 breweries to contact. It was a really thankless task. A lot of brewers are brilliant and get back to you straight away with so much information, but other brewers just did not like, and it was just a pain in the arse. I worked as hard as I could on this book. I learned as much as I could, but there’s always the thing that, as soon as you finish it, you learn something new and think ‘If I’d have known that five weeks ago, or five months ago, then I would have added that to the book’. With a project like this, it’s impossible to know absolutely everything at that one point in time. You can only really use the knowledge you have at that point and hopefully apply it the best way you can. Yeah, exactly. So, hopefully, they will get keep getting better and better. 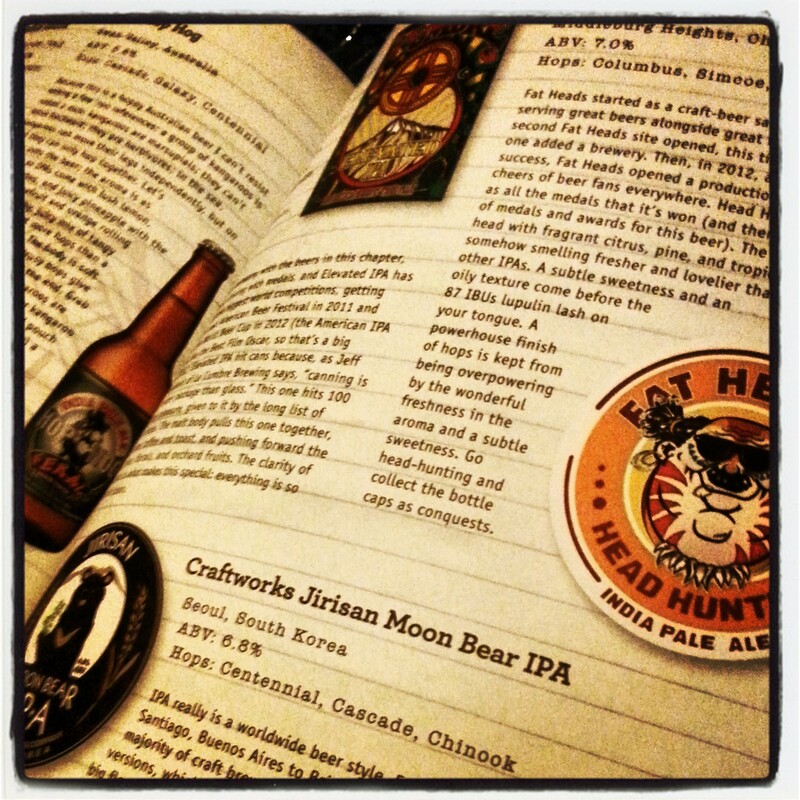 Craft Beer World, published by Dog’n’Bone, is available to order from Amazon.